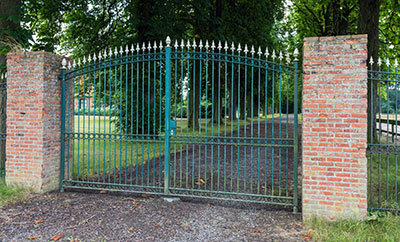 Do you have uncertainties about matters related with gate repairs? We have answers straight from the experts. Should I install an intercom system? Intercom installation is always a good idea, especially if you cannot see your gate from the house. According to our professionals, intercoms allow you to have two-way communication and you will decide whether to let someone in or not. Their benefits to your security are great. What are the UL 325 requirements for gates? Vehicular gates must have primary and secondary entrapment protection devices. They must also have an audible alarm in case the sensors are activated twice in one closing or opening cycle. They must have means for manual operation and sliding gates must not exceed 1ft/sec speed. How are card access systems advantageous for gates? Card access systems are particularly helpful in places where a lot of people need access like a big commercial establishment. In case a gate key is lost, a lot of locks need to be rekeyed. In case of cards, they cannot be duplicated, they can just be destroyed and the entire system does not have to go through changes. What are the ideal specifications for swing gate posts? Swing gate posts are usually made of square tubular metal that is 5 to 6 inches in width. It should not be cylindrical to keep it more stable. The holes, on the other hand, should be at least 36 inches deep. A block of concrete should be placed at the bottom of the hole to prevent the post from sinking any further.